It’s no secret that a well-designed mantel can instantly become a centerpiece of any living space. 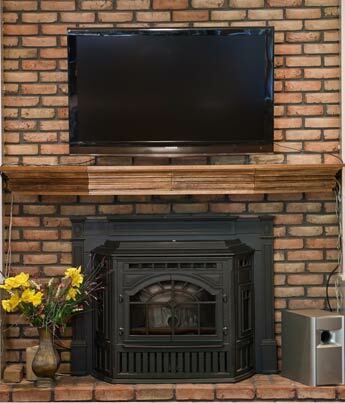 After all, what family hasn’t gathered around the fireplace at some point to snap that coveted perfect family picture that will be passed around for years to come? 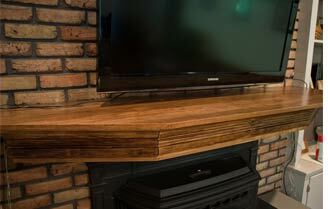 Mantels are popular, however, not only for their aesthetic beauty, but also for their function. Their convenient shelves hold books, pictures, candles, and even our Christmas stockings. 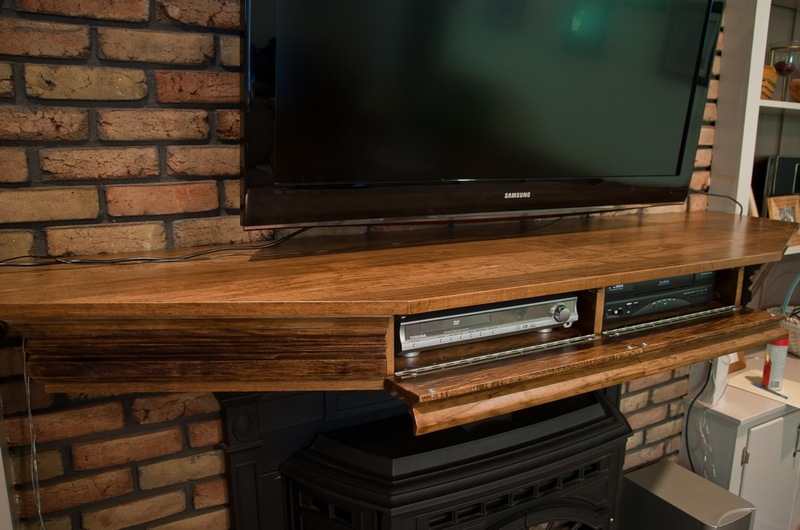 When this customer contacted me about having a mantel built, they were planning on putting something else entirely above their fireplace; a mammoth flat screen television. Always looking to put an unexpected twist on things, this got my wheels turning. 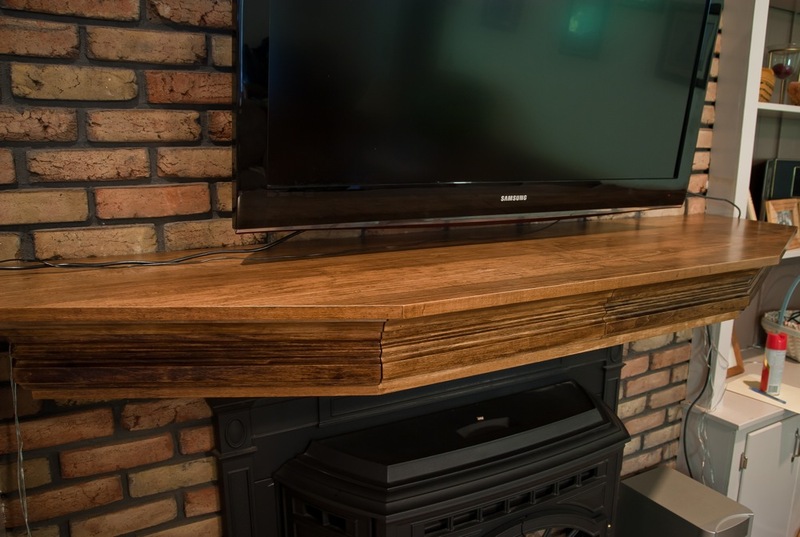 After thinking it over, I suggested to the customer that we build a “floating” mantel which was suspended on the wall with hidden (and technically difficult) supports. 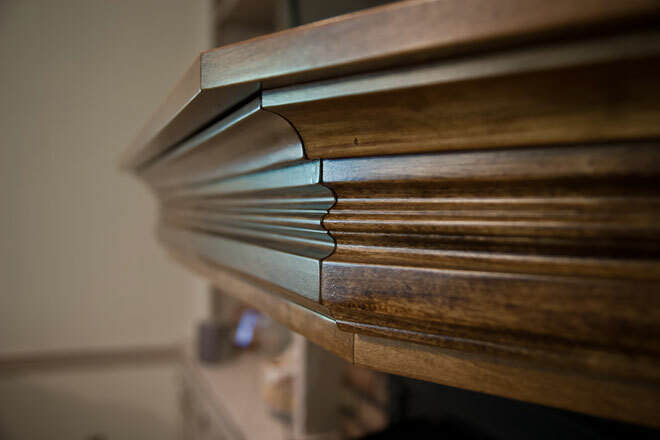 The twist, however, would come in the fact that the decorative molding surrounding the mantel would be hinged, allowing storage and access to audio/video equipment. Now, rather than having unsightly electronic devices cluttering up the bookshelves around it, everything is hidden inside the mantel itself. The panels open with the touch of a finger as they are held in place and released by spring loaded magnets. 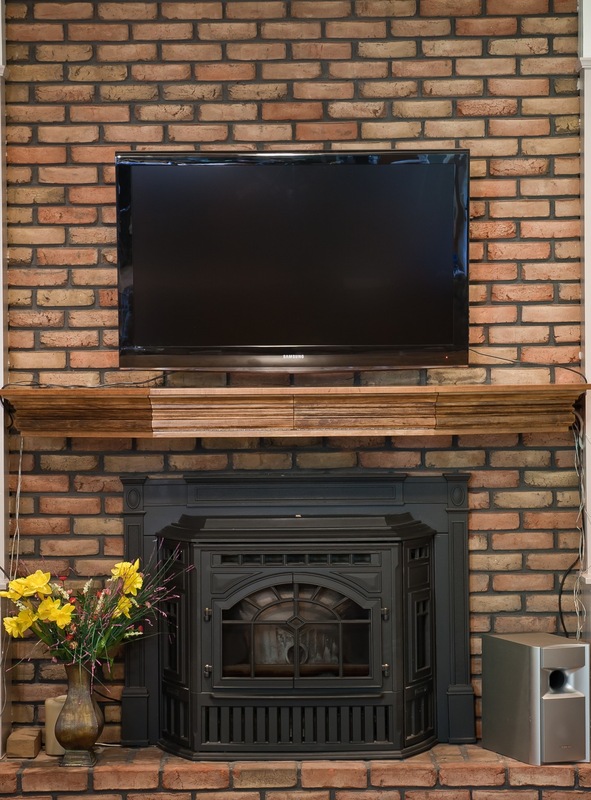 When the equipment is needed, the front of the mantel can be dropped down conveniently and then raised back up again when they are no longer in use. A healthy blend of form and function is my goal in every piece I build, and that evidence is readily obvious with this project. 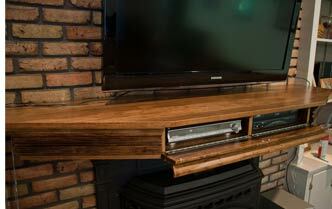 Find more work like this: Built-in, Maple, Secret Compartment, Stained.